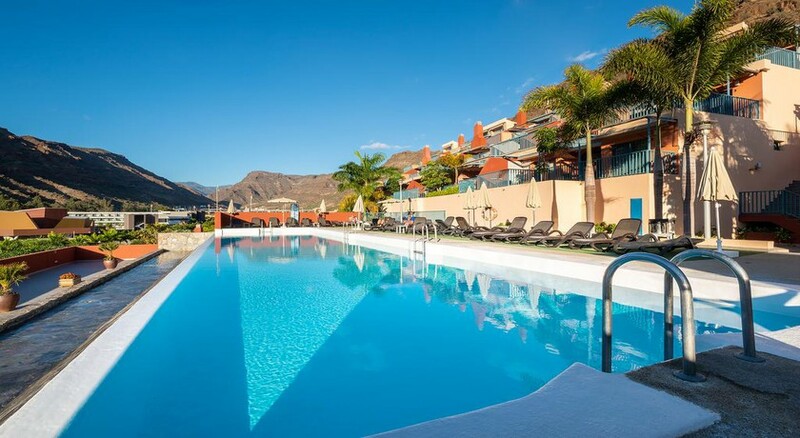 Located in Gran Canaria, the Cordial Mogan Valle Apartments are great for couples, friends and families to enjoy a break in the sun. It is just 0.6 miles to the nearest beach from the property and you will also find a range of amenities such as three swimming pools, a children’s pool, fitness centre and a mini club for kids. The apartments are nearby to several golf courses and beaches and there is a range of accommodation options to suit everyone. 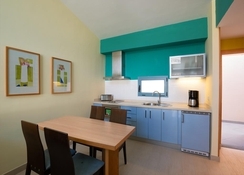 The Cordial Mogan Valle Apartments provide a suitable place to stay with many on-site facilities so that you can kick back, relax and enjoy a week or two in the sun. 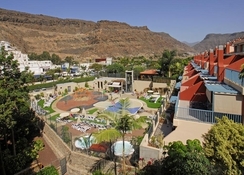 The Cordial Mogan Valle Apartments are on the south-west coast of the tourist island of Gran Canaria. 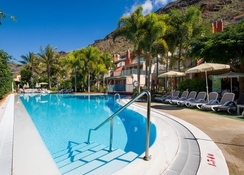 Also known as ‘Little Venice’, Puerto Mogan is 24 miles from the Gran Canaria Airport. Some of the nearby attractions include Aqualand Maspalomas (9.9 miles) as well as several golf courses including Anfi Tauro Golf Course (2.8 miles) and Maspalomas Golf Course (11.5 miles). The apartments have a modern design and all come with a living area, satellite TV and kitchenette. They also have a terrace with sea views. 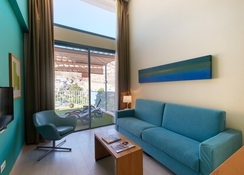 The apartments are categorised into One-Bedroom Apartments for two adults or up to two adults and two children, Two-Bedroom Apartments for either three adults, five adults or two adults and two children. You can eat in the buffet restaurant that serves both local and international cuisine and there is also a snack bar at the property for light bites. Another bar is available in the lounge and there are various eateries in the nearby shopping centre including a tapas bar and Indian restaurant. It is just 0.6 miles to the nearest beach while the hotel has three outdoors pools in addition to a spa where you can indulge in various treatments or a Turkish Bath. The apartments also have facilities for tennis and there is a fitness centre. 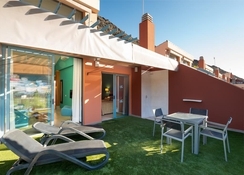 The property is close by to two golf courses - Anfi Tauro Golf Course and Maspalomas Golf Course – and the marina which is nearby has several bars and restaurants. Pleased to say my latest stay here was amazing. New renovations to apartments were much needed. Juan at the bar was always polite, helpful & aimed to make your holiday memorable . Location is great & the ability to go further on local transport is so easy. Would recommend to people of all ages . The area is safe . Will definitely be going back to this hotel .